Clove & Anchor Entertainment formed in the summer of 2005 with the goal of supporting and producing community arts and entertainment. 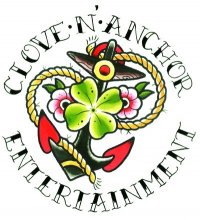 With over 10 years experience in community events, promotions, and planning, Clove and Anchor continue to work with passion and dedication for the arts and entertainment industry. Specializing in event coordination, marketing, management, promotions, liquor licensing and bookings, Clove & Anchor handle a wide range of productions from arts and sporting events, to charities, festivals, and a wide array of artists, whether local stars or big names from overseas.